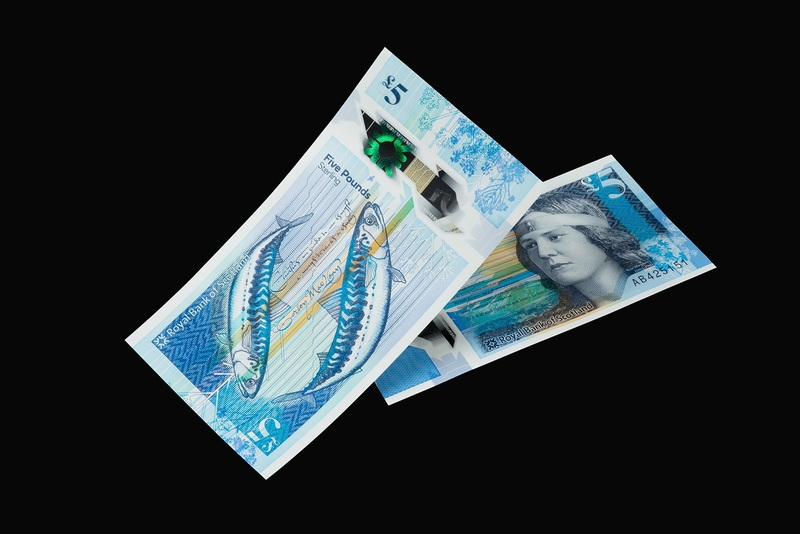 The new Royal Bank of Scotland polymer banknote, The People’s Money “Fabric of Nature”, is the culmination of an unprecedented national design collaboration. 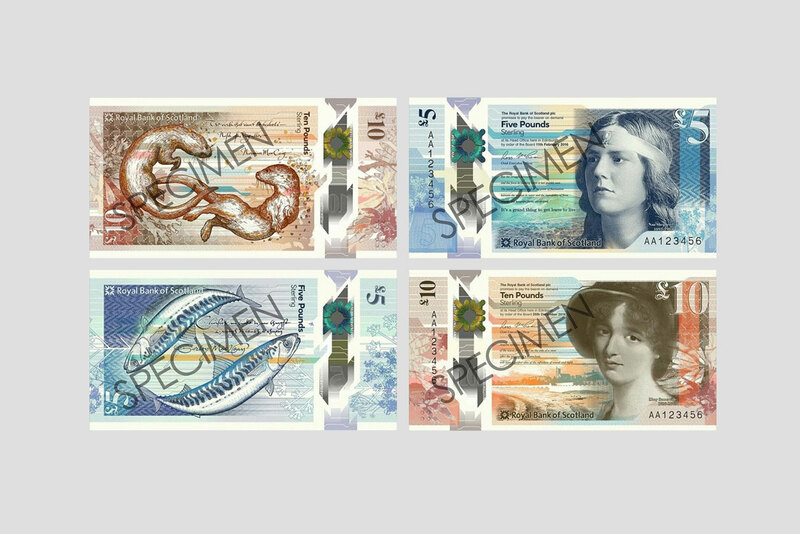 Designing new banknotes for Scotland was one of the biggest public design projects of its kind ever undertaken, involving members of the public from across Scotland, leading designers, as well as a team of experts from fields including botany, poetry, marine science, numismatics and weaving, among many others. The design collaboration for The People’s Money was led and managed by the Edinburgh service design agency Nile, headed up by Project Lead, Jeni Lennox. Some of Scotland’s most respected design companies – Graven, O Street, Timorous Beasties, and Stuco – took on roles in Creative Direction, Art Direction, Illustration and Note Design. The resulting creative team interpreted the contributions and outcomes of the consultation process to create a coherent set of notes. The Scottish public played a direct and leading role in the design process. 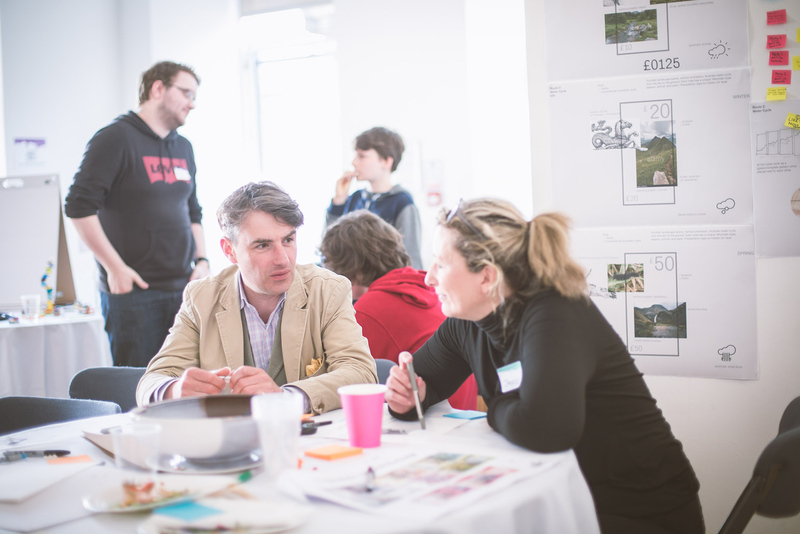 More than a thousand took part in a series of design workshops, surveys and online communities. Participants were selected from all across Scotland and included schoolchildren and pensioners. The members of the public who took part were not simply asked to vote for individual visual elements for the notes. They chose the concept as well as suggesting hundreds of design details to be included in the finished notes. RBS Personal and Business Banking’s Creative Director Rebekka Bush said: “Our new banknotes feature the people, objects and wildlife that people in Scotland told us they wanted to see on their money. The design collaboration was led and managed by the Edinburgh service design agency Nile. It’s project lead Jeni Lennox said: “The challenge was to gather the voice of a nation and turn it into something visual, to find and organise familiar images and arrange them in ways that would remain fresh despite being seen every day for decades. RBS has not released full details of all the visual elements that will feature on the notes but they will tell a connected story, and all come from suggestions and ideas provided by the public from their chosen concept Natural Colour and Light. The images the public suggested for The People’s Money identify strongly with modest and everyday things, as well with our grand landscapes and more traditional Scottish imagery. The notes will feature things like mackerel, midges, tweed and otters instead of tartan, castles, salmon and stags. Some of Scotland’s most respected design companies had the job of turning the output of the consultation process into a coherent set of notes. Those included O Street, Timorous Beasties, Graven and Stucco. Graven founder Professor Janice Kirkpatrick OBE said: “I thought it was very interesting that the things the public wanted to celebrate through money were completely non-material. It was a complete democratisation of value; the things that money can’t buy. Glasgow design studio O Street had the job of creating the final artwork that was signed off by RBS. The first note, the £5, is due to be released at the end of 2016, with £10 12 months later. “Details will be released later”, RBS’ Rebekka Bush added. ““These notes are unlike anything Scotland has had before. The Scottish public and designers who created them deserve a lot of credit.